Buland Darwaza is the highest gateway in India. 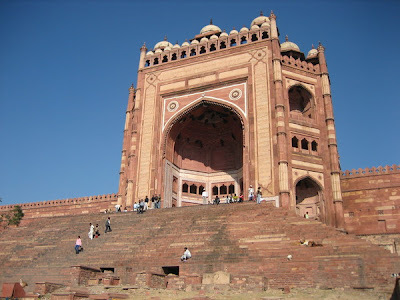 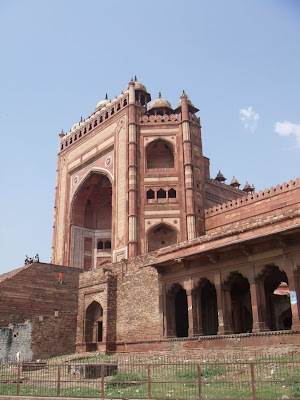 Buland Darwaza was built by the Mughal Emperor Akbar in 1601 A.D. at Fatehpur Sikri to commemorate his victory over Gujarat. 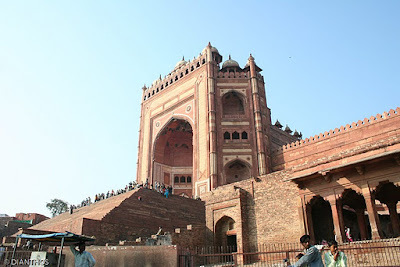 Buland Darwaza is 53.63m high and 35 meters wide. The structure is approached by 42 steps. 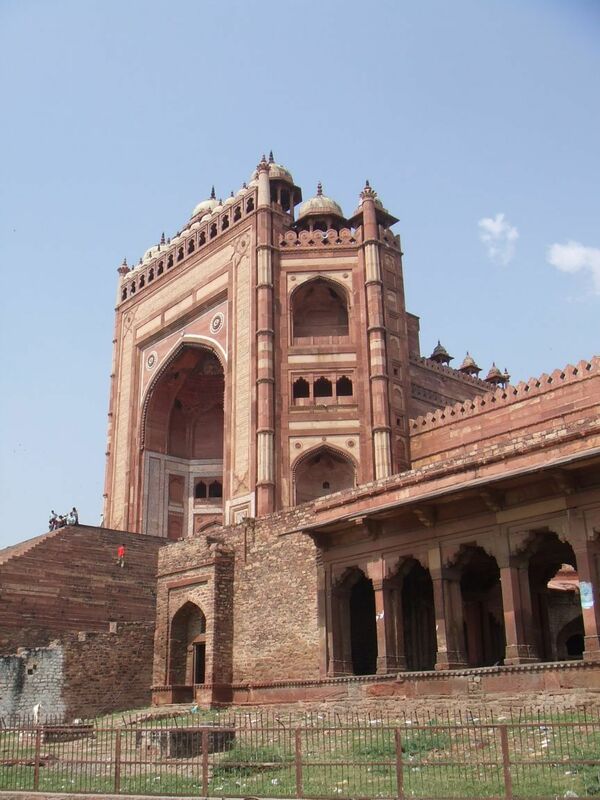 The Buland Darwaza towers above the courtyard of the mosque. 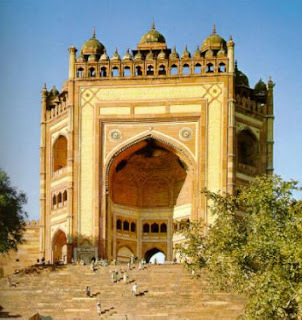 The Buland Darwaza is semi octagonal in plan and is topped by pillars and chhatris. 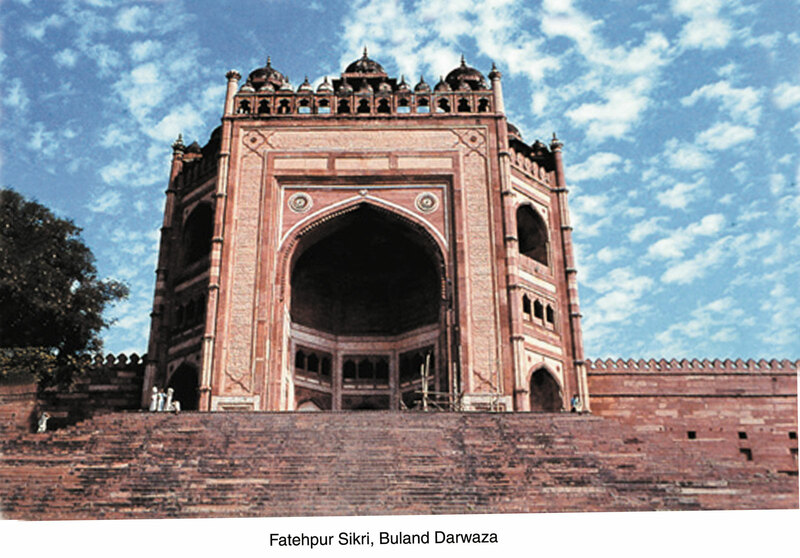 Buland Darwaza is made of red and buff sandstone, decorated by carving and inlaying of white and black marble. The Buland Darwaza is semi octagonal in plan and is topped by pillars and chhatris. 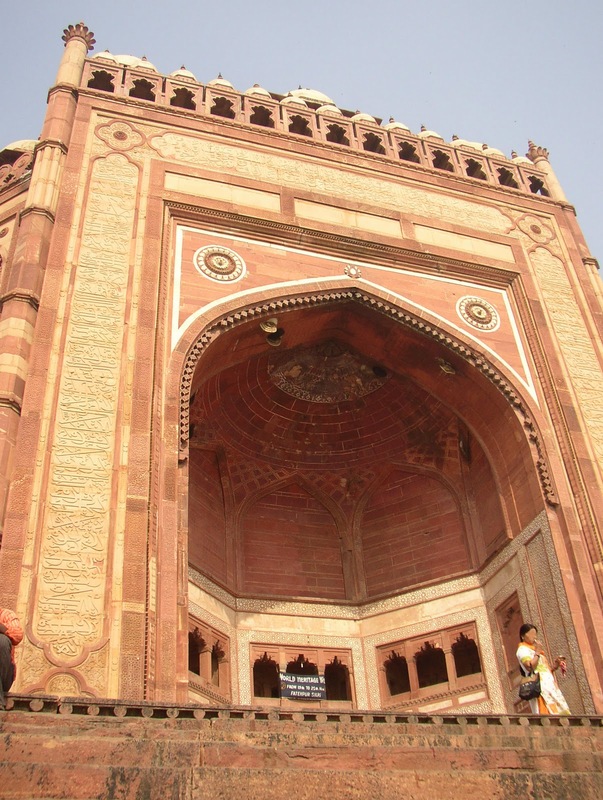 It is adorned with calligraphic inscriptions from the Quran. 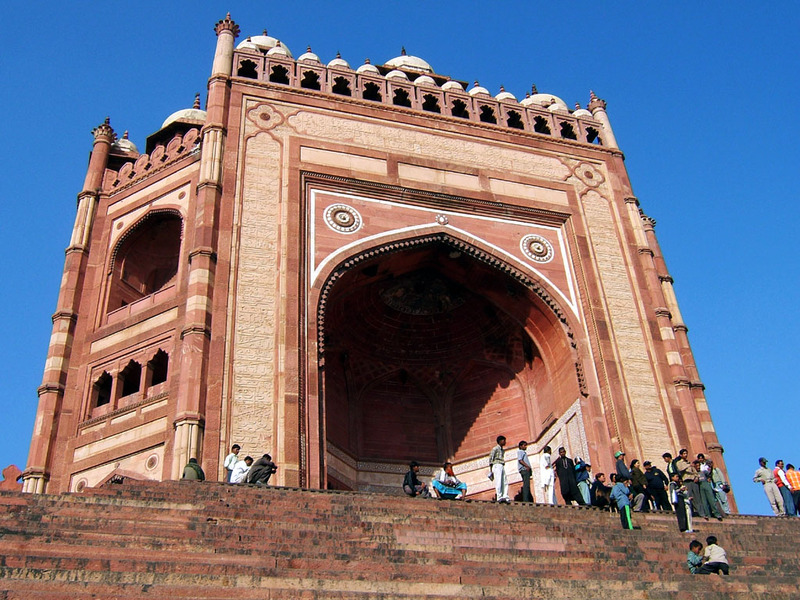 There are thirteen smaller domed kiosks on the roof, stylized battlement and small turrets and inlay work of white and black marble. 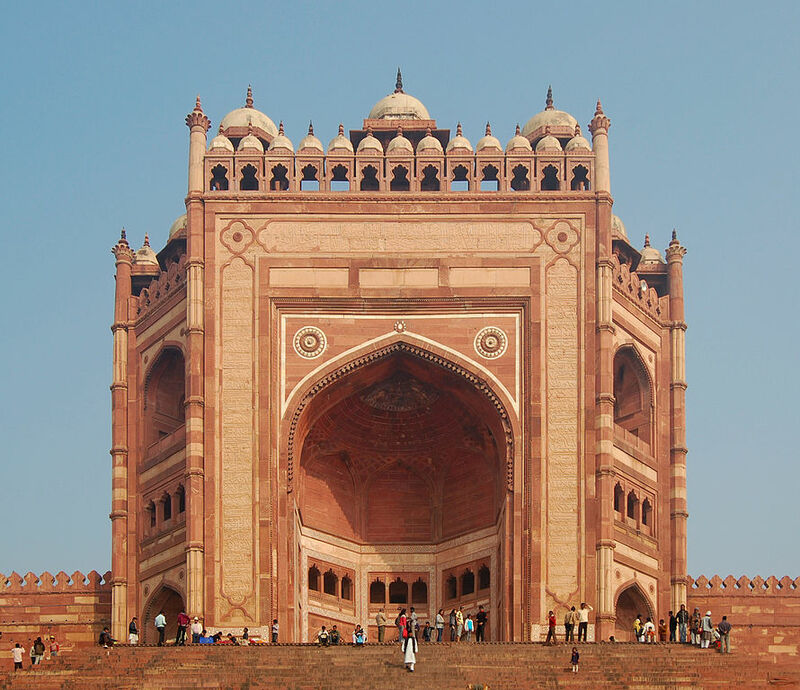 An inscription on the central face of the Buland Darwaza displays Akbar's religious broad mindedness. 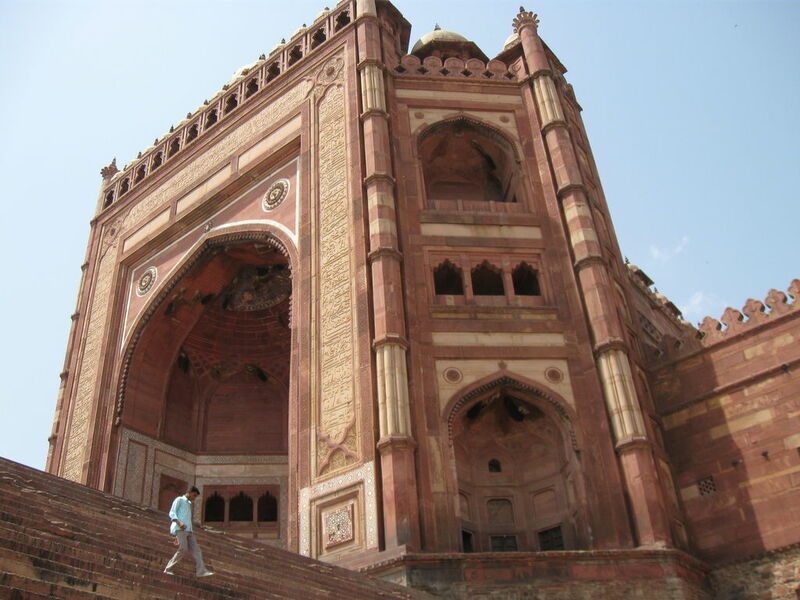 It is attributed to Jesus Christ and reads, "The World is but a bridge, pass over but build no houses on it." 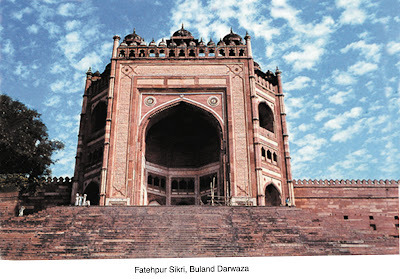 A Persian inscription on eastern arch way of the Buland Darwaza records Akbar's conquest over Deccan in 1601 A.D.